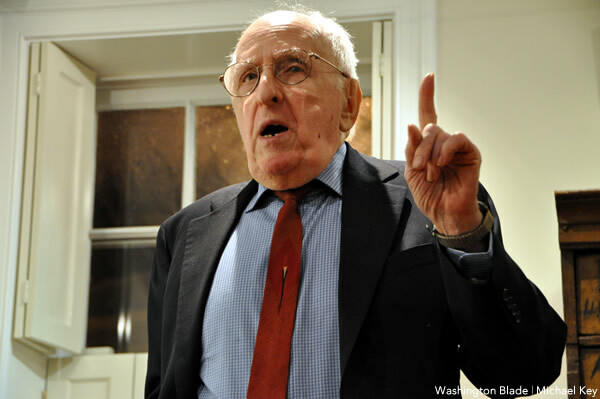 An effort is under way to have gay activist Frank Kameny honored with a Presidential Medal of Freedom, the nation’s highest civilian award, from the White House. Long-time San Francisco-based activist/blogger Michael Petrelis is unofficially spearheading the effort. He says Kameny is highly deserving. Widely considered one of the most influential figures in early gay liberation, Kameny was fired from the Army Map Service in 1957 for being gay. He protested it and argued his case to the Supreme Court. In 1961 he and fellow activist Jack Nichols co-founded the Mattachine Society of Washington and by 1965, he was picketing at the White House and Philadelphia’s Independence Hall for gay rights, among many other activities over the years. Petrelis says his friend Bob Roehr, a D.C.-based journalist, suggested the idea to Petrelis two years ago. It hadn’t occurred to Petrelis, but he immediately thought it was a great idea. He’s hoping some of the national LGBT rights groups — he mentions Human Rights Campaign, Lambda Legal and the Task Force — will pick up the effort. Several have commented on Petrelis’ site that they agree it’s a great idea, including Kameny colleague Charles Francis, London’s Peter Tatchell and law professor Art Leonard. The effort, though, has not been without controversy. When Petrelis floated the idea in the comments section of a recent Blade article about a new White House interim LGBT liaison, some said the community has more pressing concerns. Kameny concedes his house is overflowing with accolades. One wall in his upstairs office is covered in plaques. There’s another mountain in a spare bedroom that haven’t been hung yet. A table in the dining room is full of freestanding trophies and mementos such as White House pens used to sign significant gay-related legislation. A spare D.C. street sign designating three blocks of 17th Street N.W. in his honor is propped up on a living room sofa. Kameny says he would be highly honored if the White House chose to award him the medal, which comes in the form of star medallion surrounded by gold eagles attached to a blue-and-white ribbon. Lesbian tennis legend Billie Jean King has been awarded the Medal of Freedom. Harvey Milk, the slain pioneering member of the San Francisco Board of Supervisors, was awarded the medal posthumously. 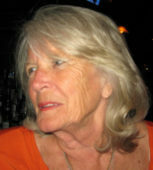 Kameny’s claim to fame was being a gadfly when it wasn’t politically correct. I don’t feel that is deserving of a Medal of Freedom. But, then again, who can predict what Nobama and his band of national economic incompetents and plain ol’ idiots will do. Kameny led the way to end the ban on federal employment of homosexuals; his advocacy was key to ending the stripping of security clearances from gay and lesbian Americans; was the first to effectively challenge the ban on military service; and was the leader of the effort to remove homosexuality from the American Psychiatric Association list of mental illnesses. Most of all: he invented the language of the movement for gay civil equality, rooted not in Marxism or radical faieries or any extremism, but rather in the words of Jefferson and the promise of the Constitution. He is now part of the exhibition “Creating the United States” at the Library of Congress. The Washington Post just reported Ward 2 Council member Jack Evans has a special account for those Ward 2 constituents deserving outstanding recognition or compelling need. I understand that Mr. Kameny has trouble paying his utility bills every year. While the Post reported that most of the constituent fund monies go for sporting tickets, that in exchange of the longstanding Ward 2 LGBT support, Mr. Evans might consider paying Mr. Kameny’s bills. In perpetuity.